Very nice, comfortable, recently renovated apartment. Follow instructions from e-mails and everything is fine. 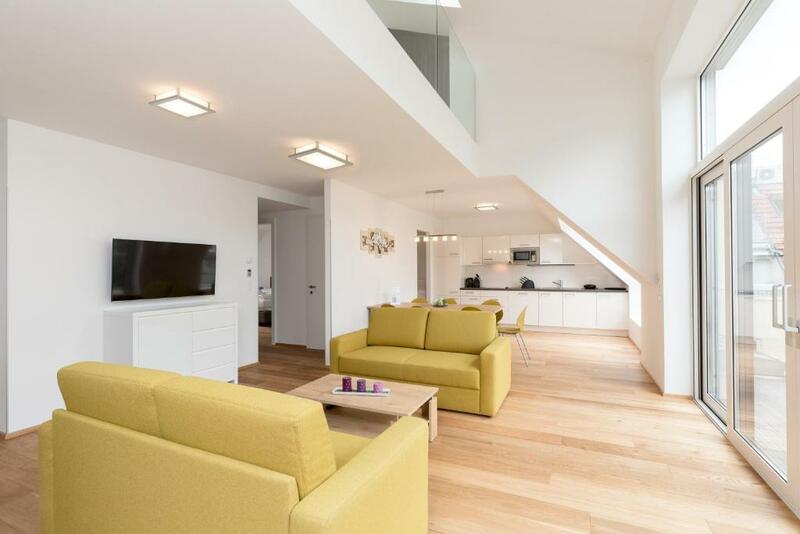 Spacious and recently refurbished apartment. Very quiet at night and public garage 250m from apartment. The property is big!!! The neighborhood was great 13 min walking from the center Clean , comfortable, easy to communicate!!!! My family and I were very comfortable in this apartment, I was not expecting that all bedrooms has its ow bathroom. Thank you so much, and will definitely book your place when we comeback to Vienna. We thought the apartment was clean and modern but sparse in comfortable seating for a family of 7 adults to relax. Only 2 very uncomfortable and scratchy couches. Kitchen was well equipped and spotlessly clean. Beautiful duplex design providing privacy for 3 double sized bedrooms. The Staff were very helpful with entry information and let us into the apartment a little early after our very long flight, which was very much appreciated. Lock in a great price for Yourapartment 1020 – rated 8.4 by recent guests! 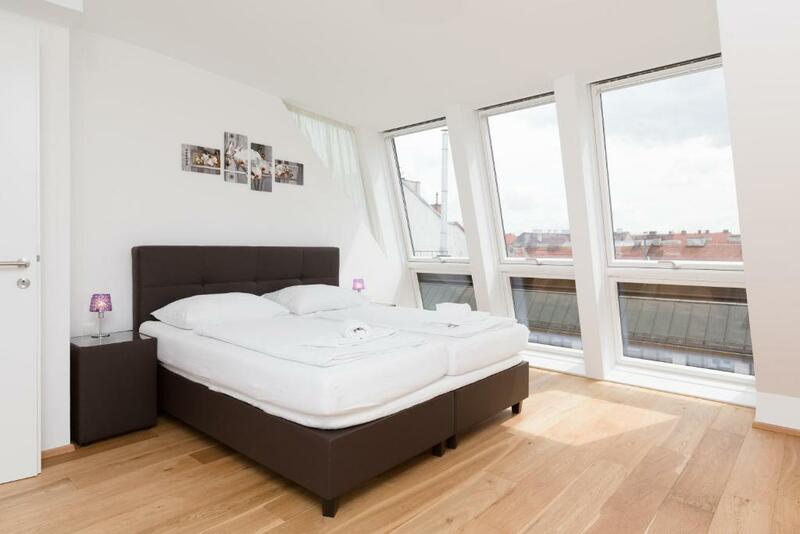 One of our top picks in Vienna.Yourapartment 1020 offers spacious and modern apartments with free Wi-Fi in 3 different locations in the district of Leopoldstadt. Vienna's city center can be reached by public transport in a few minutes. The apartments at 1020 Yourapartment feature a living room with an LCD cable TV, a kitchen with a dining area, and a bathroom. Ironing facilities, a washing machine, a dishwasher and a hairdryer are available as well. 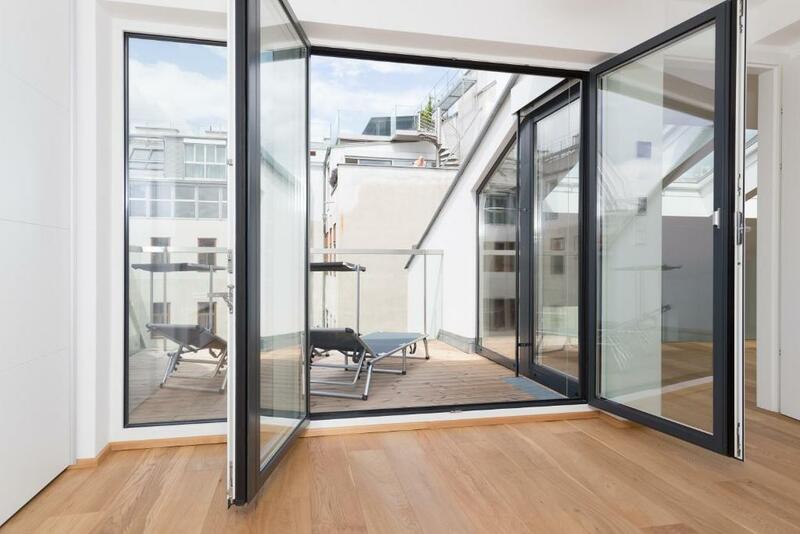 Most apartments come with air conditioning and a terrace. A elevator is provided in every building. When would you like to stay at Yourapartment 1020? Modern apartment with 3 bedrooms (each with an LCD TV), a Smart TV with Netflix and Youtube access, a living room with a sofa bed, a kitchen with a dining area, and a bathroom. Address: Darwingasse 18, 1020 Vienna (a 5-minute walk from the Praterstern Train and Underground Station). Modern apartment on 2 floors, with 2 bedrooms (each with an LCD TV), a living room, a kitchen with a dining area, and a bathroom. Address: Rotensterngasse 21, 1020 Vienna (a 5-minute walk from the Nestroyplatz Underground Station). 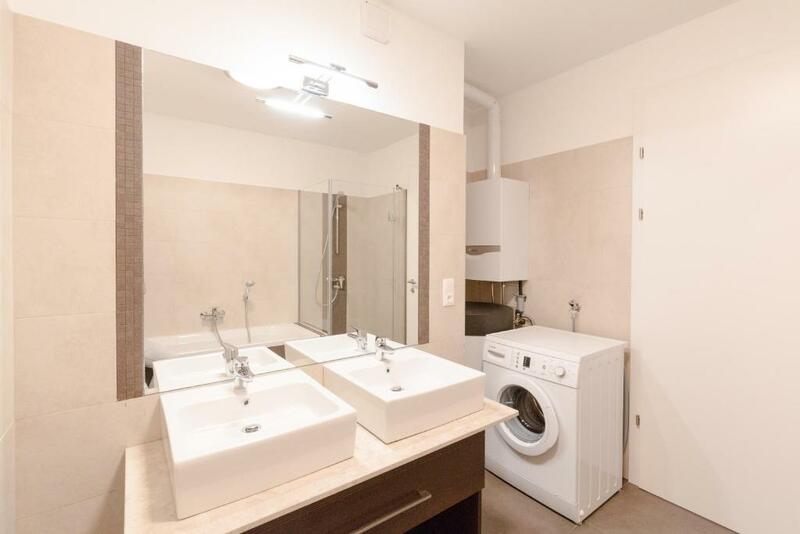 This apartment has a washing machine, dishwasher and sofa. On request, this apartment can be connected to the neighboring apartment (subject to availability). This apartment has a microwave, soundproofing and electric kettle. This apartment has air conditioning, dining area and stovetop. This apartment has a dishwasher, electric kettle and flat-screen TV. This apartment features a balcony, 4 bedrooms, 4 bathrooms with showers and toilet and a living room with a kitchen. This apartment comes with 4 bedrooms (each with an LED TV), a living room with a Smart TV (including Netflix and Youtube access) and a sofa bed, a well-equipped kitchen with a dining area, and 3 bathrooms. 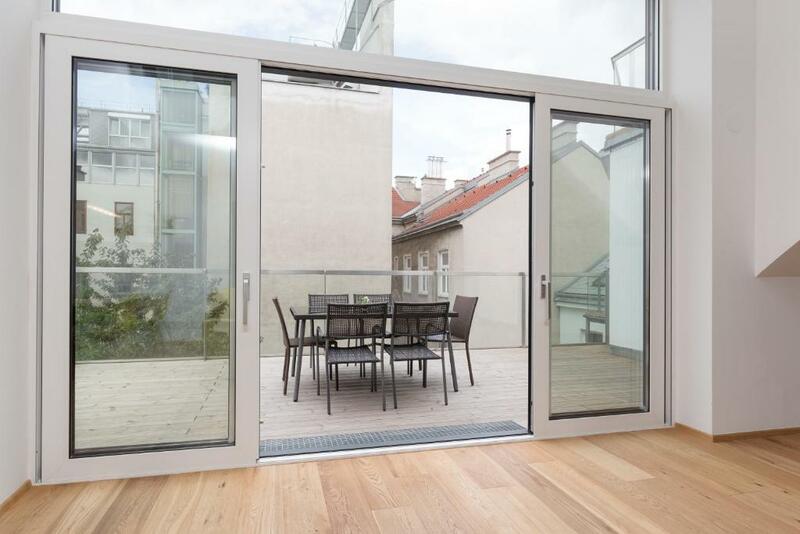 This apartment is located at Rotensterngasse 21, 1020 Vienna (a 5-minute walk from the Nestroyplatz Underground Station). 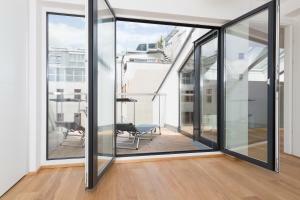 We offer an extensive selection of apartments in the districts of Vienna. 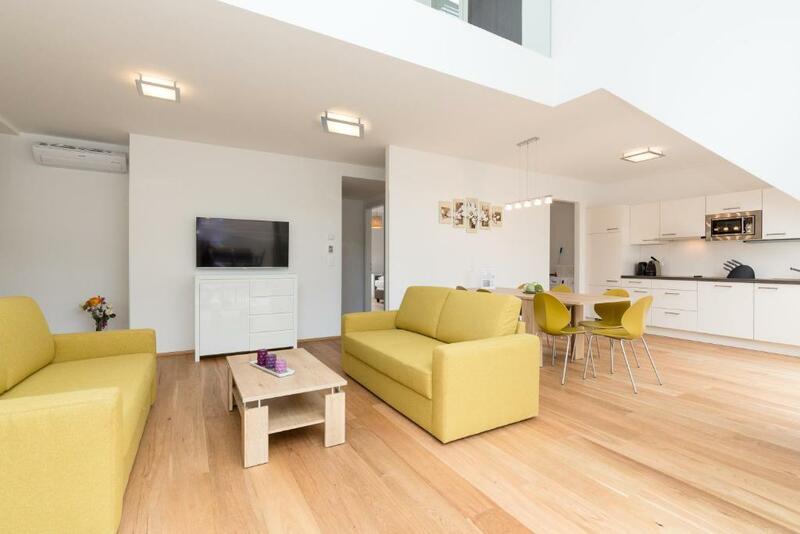 Our apartments are newly refurbished and fully-equipped with designer furniture, comfortable rooms, and many extras! We offer accommodation near the center and the sights of Vienna. The satisfaction of our customers is our top priority. House Rules Yourapartment 1020 takes special requests – add in the next step! Yourapartment 1020 accepts these cards and reserves the right to temporarily hold an amount prior to arrival. Please note that the property has no reception. Please contact the property 4 to 5 days before your arrival. You will then receive an e-mail with information and instructions regarding your check-in. Please note that arrivals outside the stated check-in times are only possible on request. On request and at an additional cost, the apartments can be cleaned during your stay. On arrival, each guest receives 2 towels and 1 set of bed linen. Additional towels and bed linen can be provided on request and at an additional cost. Please note that a mandatory final cleaning fee is not included in the rate. Please inform Yourapartment 1020 of your expected arrival time in advance. You can use the Special Requests box when booking, or contact the property directly using the contact details in your confirmation. Dishwashing machine is broken. The dining table is old and its cover needs repair. Good way to get and leave the keys in a small safe box in entrance area. Very kind, that owner have made additional bed ready for use. All kitchen pottery are clean and convenient for use. It would be nice to have some common things inside like salt,sugar oil, shower soap and shampoo. The only thing I did not like is the fact that check in is a bit late, at 3 p.m. We had to wait from 7 a.m. and carry our bags all over the city until we checked in. 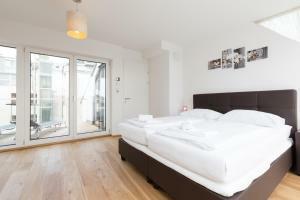 Beside that, the apartment is nice and cosy, with very good location in a quiet part of Vienna. Perfect for couples or families. Clean and comfortable apartment with big balcony. Very good location so you can reach both, Vienna Center and Prater on the other side, in 10-12 minutes of walk. Also, close to train, tram and metro stations. It would be nice to have bath accessories. All is Ok. Good bed, convenient location, good kitchen and bathroom. Excellent location, clean rooms, well equipped kitchen. The Property was very clean on arrival and was very easy to get to from the airport. Checkin 1h before was possible..., near shops for food.. quiet region..
Actually almost nothing. The furniture is very new but some people may like a more vintage design. I don't so for me is a pro! Giant rooms and very clean baths. It's the perfect place to stay with your family or a group of friends. The beds are very comfortable. The kitchen was equipped with everything you need. Very quiet location close to the centers and the metro. Close to a supermarket. The apartment is great and clean. There is all necessary for cooking. There is a Nespresso machine (no caps are included) Self check-in/out is very easy and fast. Location is 15/20 minute by walk from the city center. Little bit difficult to park car but so is in all central area of Vienna.